I’ve searched the forum, consulted the Bentley book, and even looked through the 600+ page parts catalog. I’m at a loss. What is this three-pin test port thing just below the ICV and what does it do? Thanks for your help! This is a plug for Porsche factory diagnostics..it will never ever be used again.....All you are missing is a little rubber plug. 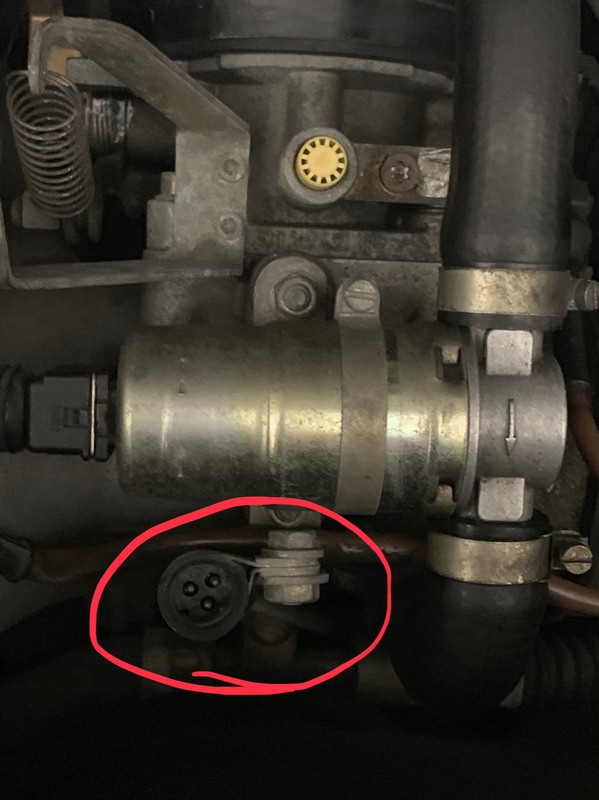 Last edited by proporsche; 12-11-2018 at 11:23 PM..
That is a diagnostic port for crank sensor, VW used them also I am not sure what equipment was used but it goes to a sensor near the flywheel. Anyone know of a part number for the plug? I always thought the three pins were unsightly. Take it out. - problem solved. Cleaner engine bay, and lighter. I’ve looked. I can’t find it anywhere. If someone has the number for the plug or dust cover / cap, I’d appreciate it. I will check to see if i still have mine when i get home tonite. If i still have it, and i should, Its yours. I think the cap comes with the plug 911-606-108-00. Found it. PM me your address. I've had other members here hook me up with lil'bits that i needed, so i'll pay it forward. Here’s everything I’ve learned since the beginning of this thread. Thanks to everyone who has helped educate me on this unusual part. 2. It’s an essentially-unused diagnostic port. 3. Replacing a broken-off dust cap requires replacing the entire sensor, as it is sold as a single piece only. 4. A 7/16” black nylon cap from Lowe’s costs $1.15 for two and fits perfectly. Not original. I’ll give you $5k for the whole car.